There are numerous reasons why people purchase life insurance coverage. Some policyholders need it to protect their loved ones from the potential loss of income should the bread winner pass away suddenly. Others need it in order to ensure that their survivors won't be saddled with a tremendous amount of debt such as a mortgage and / or high-interest credit card balances. While everyone may not have the same exact needs upon their passing, there is one need that may be similar for most people - and that is final expenses. Final expenses include the cost of one's funeral and other related costs such as a burial plot, a headstone, flowers, transportation, and the memorial service itself. Today, in many areas of the country, these types of costs can easily exceed $10,000 - an amount that loved ones and survivors often do not have readily available upon the death of a friend or a family member. Because of this, loved ones will often need to dip into their savings or investments - or worse, put these expenses on credit in order to get them paid off at the time that they are due. This can put the loved ones of the decedent into a financial hardship at an already difficult time in their lives. This can especially be the case for seniors who may be living on a fixed income and who have lost a long-time, spouse. The good news is that burial insurance for seniors can help to provide the funds that are needed in paying these final expenses. These policies will typically pay out quickly, alleviating a great deal of stress and worry, and essentially allowing the loved ones of the decedent to move on. While most people do not like to dwell on it, having a good solid plan in place can provide both you and your loved ones with peace of mind. Then, should the unexpected occur, having the funds that are needed allows those whom you care about the ability to move forward without the added hurdle of additional financial hardships - a burden that could follow them for many years into the future. What is Burial Insurance and Why Consider Purchasing It? Burial insurance is a type of life insurance that is available to individuals, typically until the time that they reach age 100. The proceeds from these plans are usually used in paying for one's funeral and other related items. They may also be used to pay final medical expenses that are not covered by Medicare or other health insurance coverage. This type of life insurance is usually purchased by those who are between the ages of 50 and 80 years old. They are typically a permanent form of insurance coverage. This means that in addition to providing the insured with a death benefit, it also offers a cash value or savings component. The cash that is in the policy is allowed to build on a tax-deferred basis, meaning that there is no income tax due on the gain until the time it is withdrawn. This tax-advantaged status can essentially allow the funds that are in the policy to grow and compound exponentially - especially over a longer period of time. The policyholder is allowed to either withdraw and / or borrow the funds that are in the cash value component of the insurance policy. They can do so for any reason such as paying off their mortgage, using the money to supplement their retirement income, or even to take a vacation. And, there is no requirement to repay the withdrawal or loan. 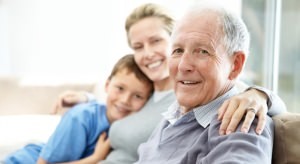 It is, however, important to note that if there is any unpaid balance in the cash value component of the burial insurance policy at the time of the insured's passing, then this amount will be deducted from the amount of death benefit proceeds that are paid out to the policy's beneficiary. This is important because the beneficiary may be counting on a certain amount of funds from the death benefit for paying the insured's final expenses. Therefore, as an insured, should you opt to withdraw or borrow funds from the cash value component of a burial insurance policy, it is essential to either notify the policy beneficiary of any potential shortfall in proceeds, or to repay the amount that is taken. Because most burial insurance plans for seniors are permanent life insurance, the amount of premium that is charged will typically be locked in and guaranteed for the life of the policy. This can be an advantage to the policyholder - especially if he or she is on a budget and may have trouble with rising expenses in the future. The premium will remain the same - even in light of the insured's increasing age, and / or any adverse health issues that may come up over time. Once the insured qualifies for the coverage, they cannot be canceled, provided that the premium continues to be paid. Most burial insurance plans for seniors do not require that the applicant for coverage take a medical examination as a stipulation for underwriting. This can be helpful - especially if the applicant has various pre-existing health conditions. Whereas an applicant may not be able to qualify for a traditionally underwritten life insurance policy that requires the taking of a blood and urine sample for underwriting, he or she likely will qualify for a burial insurance plan. Typically, burial insurance only requires that the applicant answer just a few simple health-related questions on the application for coverage. These will usually require that the individual does not reside in a nursing home and that they not already have been diagnosed with the most serious of health conditions. In order to keep the insurance company's risk at a minimum, some burial insurance policies for seniors will limit the way in which the death benefits are paid out. For example, in some cases, if the insured dies within the first two years of policy ownership, the beneficiary will only receive back what was paid in as premium. (In some instances, the beneficiary may also receive a small amount of additional interest). Once the insured has owned the policy for more than two years, however, if he or she passes away, the full amount of the death benefit can then be paid out to the policy's beneficiary. Just as with purchasing any other type of life insurance or financial type of product, when purchasing burial insurance, there are certain factors that are important to consider. For example, due to the fact that there is no medical exam to take during application, these plans are usually sold to more risky individuals - and because of this, the premium that is charged will usually be somewhat higher than that of a comparable life insurance policy that is traditionally underwritten. With that in mind, those who are in relatively good health may want to consider the purchase of a traditionally underwritten life insurance policy as it could be more cost effective than a burial insurance plan. Also, the face amount of coverage of most burial insurance policies is typically in the range of between $5,000 and $25,000 - although there are some life insurance companies that provide policies that have higher face amounts. For those individuals who need a higher amount of coverage, it may be wise to either consider a different type of coverage, or to consider the purchase of a burial insurance policy along with another policy as well. Choosing a beneficiary is yet another important factor when purchasing burial insurance. The beneficiary that you name should be someone whom you trust will be there to make key decisions regarding your final arrangements. This person (or persons - as there can be more than just one beneficiary) will typically be someone who knows you well, and who will be familiar with the final wishes that you have. In naming your beneficiary, it is essential to keep in mind that the unexpected could also happen to him or her. Therefore, you should ideally name not only a primary beneficiary but also a secondary beneficiary - a person (or persons) who will step in should the primary beneficiary predecease you. In some instances, both the primary and the secondary beneficiary have predeceased the insured on an insurance policy. Therefore, it is possible to name even a third, or tertiary, beneficiary on your life insurance policy. In addition, the underlying life insurance company from which the policy is purchased can also make a big difference in how and when - and sometimes even if - the benefits are paid out. While there are many insurance companies that offer burial insurance for seniors, not all burial life insurance is created equal. This is why it is important to check the ratings of the life insurance carrier. Life insurance companies are typically assigned ratings based upon their financial strength and stability, as well as their claims paying ability, by ratings agencies such as Standard & Poor's, A.M. Best, Fitch Ratings, Moody's, and / or TheStreet.com. These ratings are usually given in letters such as A++ to F. In most cases, going with a company that has a rating of A or better is usually best. Likewise, it is always a good idea to also check into an insurer's status with the Better Business Bureau (BBB). Many companies will be accredited with the BBB. In addition, the BBB provides grades from A+ through F, similar to a school report card. The BBB will also provide information on its website with regard to complaints that have been filed with a company, as well as what those complaints are in regard to. This can be a wealth of information as to whether or not consumers should proceed in doing business with an insurance company. If you are seeking out the best premium quotes on burial insurance for seniors, then it is usually the best course of action to do so through either an agency or a company that has access to more than just one insurance carrier. This way, you will be able to make a better comparison between burial insurance policies, benefits, and premium quotes - and in turn, to determine which one will work best for you, your situation, and your budget. When you are ready to proceed with your burial insurance policy comparisons, we are ready to help. We work with many of the best life insurance carriers in the marketplace today, and we can assist you in obtaining all of the details that you require in order to make a more informed purchase decision. We can do so for you very quickly, easily, and conveniently, all from your home computer, and without the need to meet in person with an insurance agent. If you're ready to move forward with your burial insurance policy comparison, all you need to do is just fill out the form on this page. Should you find that you have any additional questions regarding burial insurance for seniors - or even if you just simply have a question about life insurance coverage in general - our experts are here to assist you. We can answer any concern that you may have regarding whether you will have enough protection for your loved ones, and / or which of the many carriers in the marketplace will be the best one for you. We can be reached directly, via phone, toll-free, by calling 877-235-9299. We understand that the purchase of burial insurance may be somewhat difficult. There are many variables to keep in mind, and you want to ensure that you're making all the right choices. That's why it's good to have an ally on your side as you make these important decisions. So, contact us today - we're here to help.